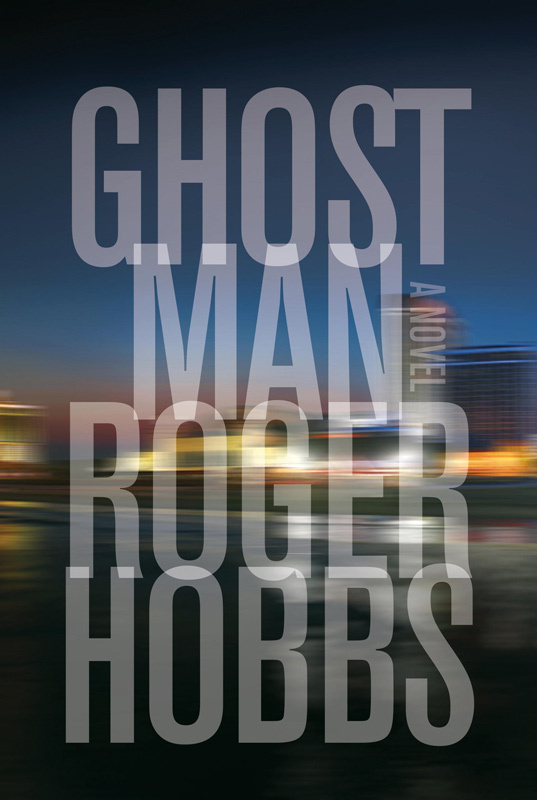 AUTHOR INFORMATION: Roger Hobbs graduated from Reed College in Portland, Oregon in 2011, where he majored in English and also studied film noir, literary theory, and ancient languages. He wrote his debut book GHOSTMAN in between his junior and senior years at Reed. He polished his manuscript in the final year and sent it off on the day of his graduation. His book created a huge buzz and was eventually sold in fifteen countries. He has previously worked as a rifle range instructor, a note taker, a radio host and a security guard. He often plays Dungeons and Dragons to relax when he’s not busy writing or completing a project. He currently lives in Portland, Oregon with his girlfriend. OFFICIAL BOOK BLURB: When a casino robbery in Atlantic City goes horribly awry, the man who orchestrated it is obliged to call in a favor from someone who’s occasionally called Jack. While it’s doubtful that anyone knows his actual name or anything at all about his true identity, or even if he’s still alive, he’s in his mid-thirties and lives completely off the grid, a criminal’s criminal who does entirely as he pleases and is almost impossible to get in touch with. But within hours a private jet is flying this exceptionally experienced fixer and cleaner-upper from Seattle to New Jersey and right into a spectacular mess: one heister dead in the parking lot, another winged but on the run, the shooter a complete mystery, the $1.2 million in freshly printed bills god knows where and the FBI already waiting for Jack at the airport, to be joined shortly by other extremely interested and elusive parties. He has only forty-eight hours until the twice-stolen cash literally explodes, taking with it the wider, byzantine ambitions behind the theft. To contend with all this will require every gram of his skill, ingenuity and self-protective instincts, especially when offense and defense soon become meaningless terms. And as he maneuvers these exceedingly slippery slopes, he relives the botched bank robbery in Kuala Lumpur five years earlier that has now landed him this unwanted new assignment. CLASSIFICATION: A thriller debut to rival those by Lee Child, Barry Eisler and Taylor Stevens. Roger Hobbs has created another terrific anti-hero that readers can root for and possibly signals the start of another exciting series. FORMAT/INFO: Ghostman is 321 pages long, divided over sixty numbered chapters and a prologue. Narration is in the first-person via Jack the Ghostman as the sole narrative voice and third-person omniscient view by Jerome Ribbons in the prologue. The author is currently working on the sequel which will feature characters from this book. 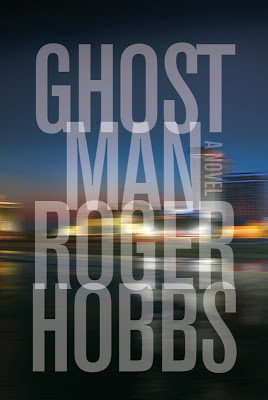 February 12, 2013 marked the US Hardback and e-book publication of Ghostman via Alfred A. Knopf books. The UK Hardback and e-book editions were released on February 14, 2013 by Doubleday books. ANALYSIS: I first found out about this book via twitter when Patsy Irwin had tweeted about it. Intrigued by its blurb, I requested a review copy and soon got one, which I began reading immediately. The book really drew me in and I think I have found another author to follow for the future. The story begins with a detailed heist in Atlantic City that goes all right until the very end when someone jumps the would-be robbers and leaves a death trail to confound everyone. The story then skips to our protagonist who calls himself Jack and receives an email asking for his help with the events of the heist in Atlantic City. Marcus Hayes is the mastermind behind the heist and is asking for Jack’s help because of his past association with him in another heist that perhaps could have gone down better. Marcus wants Jack to help him locate the stolen money and there’s a time limit (48 hours) because of reasons revealed in the story. Jack agrees because of his past obligation and he feels its necessary. What he doesn’t realize is that the Atlantic City heist is a can of worms that should have never been opened. Interspersed with Jack’s recent investigations are the events of the past namely the heist that went sideways five years ago and the main reason why Jack feels he owes Marcus. That’s the basic plot of the story and it has dual storylines running throughout, as the reader will be racing to read what happens in both plot threads and how it all ties into the recent events. With such an enticing plot, the author provides us with a story that is a near perfect thriller and basically screams to be translated on the silver screen. Here’s why I thought this was such a great debut. Since this is a first person narrative, the character voice has to be very charismatic and the author absolutely nails this part down. Our main character Jack is a chameleon who “becomes” a different person as per the situational necessity, the reader will be completely enthralled as he explains how he does his jobs and a few events of his past that have shaped him into the person he is currently. The author manages to create enough intrigue about Jack, never quite tipping his hand at the reliability of the main protagonist. We as readers are given hints and told about the past and then are left to draw our own conclusions about Jack, this is what I liked as each reader will form a different perception/opinion about him and each of them might be correct. The author also never clearly reveals the character’s features thereby truly making him a ghost o sorts in the reader’s minds. Then there’s the time frame of the storyline, all the events happens in less than 48 hours and this is a very characteristic feature of all Jeffrey Deaver’s books. I liked the fact that Roger Hobbs has also set his debut in the same mold and this makes the reader that much more invested in the story, as there’s the constant reminder of the deadline that spurs the characters ever onwards. The author’s tight plotting skills help as there are numerous twists inserted in the story that make it a tad unpredictable and the past plot thread also has some significant revelations that will come into play in the sequel books. Then there’s the side character cast and with this, the author gives our protagonist not one but two deadly antagonists to deal with. Jack is never absolutely certain as to who is the deadlier of the two and that causes him to be even more careful in his investigation. The author also peppers the storyline with enough background info about the nitty-gritty of Jack's profession and thus makes the story that much more believable. In this regards it reminded me a lot of The Lock Artist by Steve Hamilton and this was a plus point for me and should of interest to those who liked/loved that book. Overall this debut has a very strong plot that is also aided by pace through out the book with both timelines given the proper due. The author makes it a very intriguing thriller that’s hard to put down and as far as thrillers go, this is a great example of it. Now on to some points that take some of the sheen of this title. One of the points described by the narrator by the protagonist is how he changes his appearance by simply relaxing his muscles, which I felt was a bit far-fetched but this was a pet peeve of mine. The author also gives some past threads that are left hanging at the end of this story and that might cause some consternation to some readers, but I think the author was laying the groundwork for the future sequels. Lastly one of the antagonists’ real name [Harrihar] is spelt in a different way than it should be [Harihar] and I don’t know if this was a simple mistake that never got corrected or the correction was never implemented. Either ways it’s a simple thing that shouldn't have occurred [Clarification: The author spoke about this point on Twitter and has said the spelling is purposefully done as it is, to pay homage to a real life persona who used it so]. 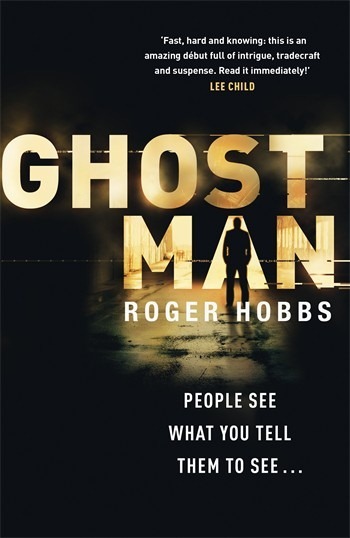 CONCLUSION: Roger Hobbs’ debut Ghostman comes highly recommended going by the author blurbs on it and I would like my voice to be added to them. Full of twists and with an enthralling narrator, the author has written a successful debut, which is also an exceptional thriller, and one that will be remembered fondly by thriller fans. Be sure to check it out, as this is one debut that is sure to gain more of a following as the years go by and will be making my year end lists. There was a long article with pictures on Hobbs in our local newspaper, The Oregonian, here in Portland, OR. and he is appearing at several local bookstores, notably Powell's, doing readings, signings, meet the public events. Powell's may have signed copies available, but I cannot confirm that. I picked up a copy but have not started it yet due to the height of my TBR pile.